A working transmission is vital for any vehicle. While you can expect your transmission to remain in good shape for thousands of miles down the road, there may come a time when you need to bring your car in to the transmission shop for service. By paying attention to the signs of transmission problems, you will know when you need to visit your transmission specialist in Silver Spring for a transmission tune up. Let’s review three sure signs that your transmission needs attention from a qualified mechanic. When an automatic transmission is functioning properly, it will move smoothly through its entire range of gears. A sign of transmission problems is when your transmission seems to randomly slip in and out of gear, especially when you are travelling at a steady speed. Your transmission repair professional will be able to adjust your transmission’s gears and fix any other repair problems that may be causing it to shift. 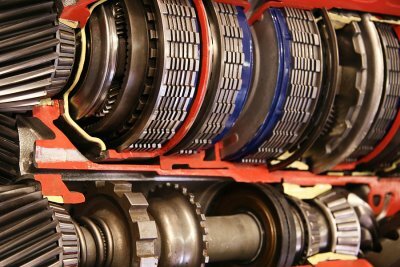 If your transmission needs significant repairs, it may start to make a thudding sound as it shifts between gears. This sound is the result of your vehicle’s gears failing to engage smoothly or responsively. While these thudding sensations can be irritating, they may also be a sign of a significant repair problem in your vehicle. After you have had your vehicle serviced by a qualified transmission mechanic, your car should drive smoothly and soundlessly. A properly functioning transmission will shift into gear right away after you move your stick shift from the park to the drive position. One sure indicator that your transmission is in need of repairs is when it fails to engage after you have shifted your vehicle out of park. If it takes a few seconds for your transmission to shift into gear, you may have a mechanical or electrical problem on your hands. 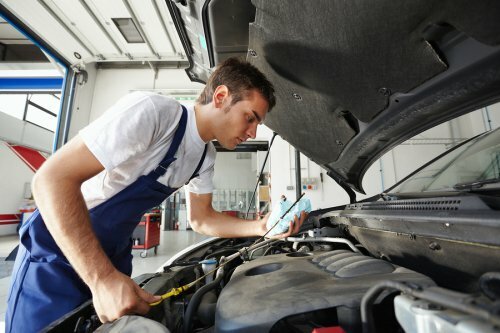 With computer diagnostic technology, your transmission repair technician can easily identify what is going wrong with your transmission. When you first learn to drive, you will be taught driving habits that will help to keep transmission problems at bay. Over the course of many years of driving, however, it can become tempting to take shortcuts behind the wheel. 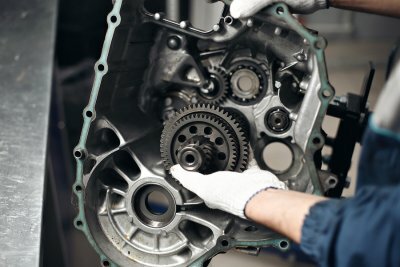 When you bring your car in for transmission repair in Bethesda, your transmission specialist can answer your questions about which driving techniques may be harming your transmission. To help you prevent transmission issues, read on to look at some driving habits that can destroy your transmission. While drivers of manual transmissions nearly always use their parking breaks, many drivers with automatic cars often neglect this essential device. When you engage your parking brake after parking your car, you will help to take pressure off of your vehicle’s output shaft. In the event that your car shifts slightly while it is parked, the parking brake will help to prevent the transmission from becoming seriously damaged. Your automatic transmission needs to come to a full stop before you move the shift selector from one of the drive functions into park. If you switch between reverse, park, and drive too quickly, you run the risk of grinding your gears and causing serious damage to your car’s transmission. To protect your transmission from harm, get in the habit of slowing down your shifts and waiting for your car to come to a complete stop, before you select a new drive mode. If you grew up driving manual transmission vehicles, you may have learned about the technique of downshifting to slow down on a hill. While downshifting can be a helpful technique when you drive a manual transmission vehicle, this practice might cause devastating damage to your automatic transmission. Rather than forcing your automatic transmission into a slower gear to reduce your speed of travel, you can safely slow down by gently tapping on the brakes. As your car accumulates more miles, it may start to experience transmission problems. Overheating is among the most common transmission problems that can be found in high mileage vehicles. When a transmission’s internal components start to wear out, they may grind together and produce significant amounts of heat. 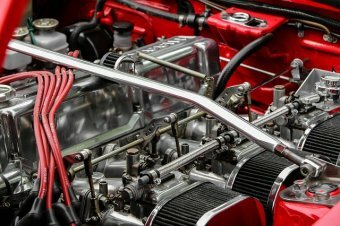 A shop that offers rebuilt transmissions in Rockville can help you determine what frequent overheating means for the lifespan of your transmission. Frequent overheating often means that it is time to replace the transmission completely. 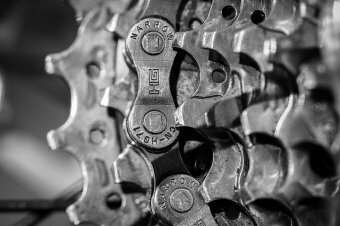 Since overheating can cause a transmission’s components to break down more rapidly, it is a good idea to replace these worn out parts with brand new components. Many times, overheating can also be caused by low transmission fluid. Without the right amount of fluid flowing through its system, your transmission may be more susceptible to overheating. To avoid a roadside emergency, you will want to visit your transmission shop at the first sign of an overheating transmission. The winter season can be very hard on your car’s internal and external components. To help prevent transmission problems and other maintenance issues during the cold months of winter, it is a fantastic idea to schedule preventative seasonal services. A transmission shop in Silver Spring can identify and repair any transmission issues that could arise when outdoor temperatures drop. Your transmission specialist may also be able to answer any other questions that you have about seasonal car maintenance. To help you prepare for your visit to the transmission shop, here is a look at some essential winter car care tips. Checking your fluid levels is important during every season of the year. In the winter, however, low fluid levels can spell disaster for the various components of your engine and transmission. To practice proper winter car care, you will want to get into the habit of checking your car’s fluid levels at least once every two weeks. When you start to notice unusually low fluids, it may be time to visit the mechanic. Bald tires can be extremely dangerous when winter weather arrives in your area. To care for your car during the winter months, you will want to carefully inspect your tire tread wear before the first major snow storm arrives. Drivers who live in extremely snowy areas may also want to consider investing in winter tires, which provide better traction over snow, ice, and other wintery road conditions. 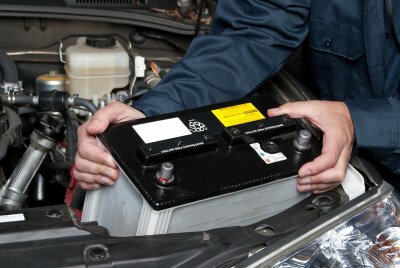 Your car’s battery allows all of its various electrical systems to run properly. Without a properly charged and functioning battery, your car’s transmission and other systems will not be able to function. During the winter months, you will want to evaluate your battery to see whether it shows signs of corrosion or other forms of damage. A certified mechanic or transmission specialist can provide you with many of the services that you need to keep your car running, all winter long. Manual transmissions have served drivers and their vehicles for many decades. In this video, you will receive a basic overview of how manual transmissions work. The primary function of a manual transmission is to transfer power from a car’s engine to its wheels. When you start to find that your car is losing power or traction, it may be time to set up transmission repair in Bethesda. When you schedule an appointment at your transmission shop, your transmission specialist will be able to determine whether your transmission is delivering the right amount of speed and torque. Transmission experts are familiar with the inner workings of manual transmissions, and they can make sure that all of the mechanisms are functioning properly. 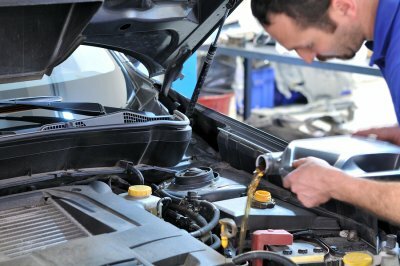 While you may be aware of the importance of routine oil changes for your vehicle, you may be surprised to learn that your car’s transmission also needs routine maintenance from a transmission shop serving Bethesda. There are several reasons to schedule transmission repair service at regular intervals. When you take the time to service your transmission, you can preserve your components and avoid a potential transmission rebuild in the future. During your preventative maintenance appointment, your transmission shop can also identify and repair any minor problems that might develop into major problems at some point down the road. If your car is in need of transmission service, you will want to bring your car in to a top rated transmission specialist in your area. 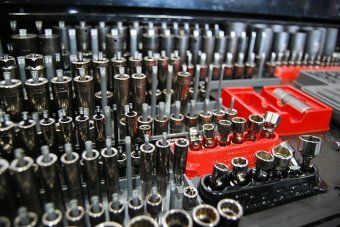 A transmission repair facility will be fully equipped to provide you with even the most advanced transmission repairs. By taking the time to schedule preventative maintenance, you can avoid a major mechanical emergency. Without a properly functioning transmission, your car will not be able to drive down the road. Since major transmission problems can lead to serious driving issues, you will want to visit your transmission shop in Rockville before a major repair emergency develops. When you are consulting with your transmission specialist, it is a great idea to ask about any transmission services that can be used to help your transmission last for as long as possible. If you are looking for great ways to drive more efficiently, here is a look at some tips for extending the lifespan of your transmission. Neglecting to check and change your transmission fluid could cause your system to fail suddenly. When your transmission fluid starts to leak or wear down, the internal components of your transmission will start to experience extreme amounts of strain. At least once a month, you will want to get into the habit of checking your car’s transmission fluid levels. Low transmission fluid requires immediate attention from a transmission repair specialist. Your typical driving habits and conditions will have a direct impact on how long your transmission is able to last before it requires significant repairs. To keep your transmission running smoother for a longer period of time, you will want to steer clear of harsh driving conditions whenever possible. For example, you can preserve your transmission by avoiding very steep hills or extremely heavy loads of cargo. A certified transmission specialist will have the training and equipment that is needed to keep your transmission up and running for thousands of miles. Just like oil changes and brake exams, regular transmission repair appointments are an essential part of routine car maintenance. 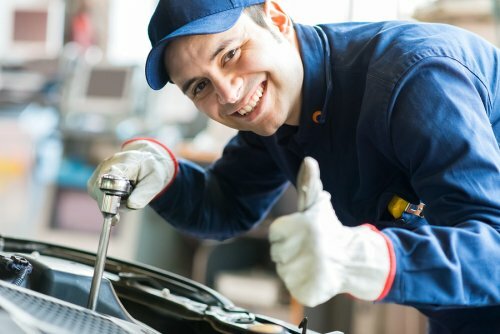 By taking the time to bring your car into the transmission shop before a serious problem arises, you will be able to efficiently repair any mechanical or electronic issues that have started to develop.